What do you get when two ex-Vue de Monde expats decide to open their own restaurant? A casual yet sophisticated eatery of an exceptionally high standard in the back streets of Fitzroy. Hammer and Tong opened at the start of 2013 in the space that was previously The Brix. “They had very good taste,” says owner Dennis Ferreira of the previous inhabitants. “We basically got handed this very beautiful restaurant.” So the space was left virtually untouched when they moved in – same large windows, same open kitchen, same plants, even the same crockery. But Ferriera and chef Simon Ward have made the space their own, serving up Modern Australian fare with an Asian leaning. While many may know the place as an excellent spot for breakfast and lunch, it’s worth noting they also have an excellent dinner menu from Tuesday through Saturday nights. The cocktail list is definitely worth a mention – all the classics are there like a Tom Collins, Boston Sour or Kamikaze, a steal at $15.00 each. The menu is designed to share, broken into small dishes and large dishes with a couple of sides. 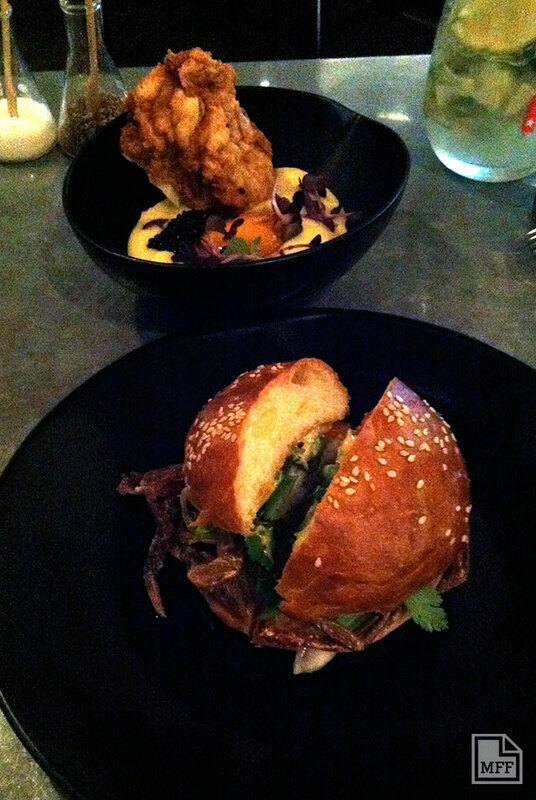 Since opening, the soft shell crab burger ($14.00) from the small dishes menu has been a staple. It’s a dish that pops up on a lot of menus around Melbourne, some good some bad, but this is definitely one of the better ones. The crab is crispy, the roll is fresh, and the whole thing will leave you wanting more. The smoked duck yolk and potato with chicken crackling & aruga caviar ($20.00) is a good example of what happens when gourmets do bar food. 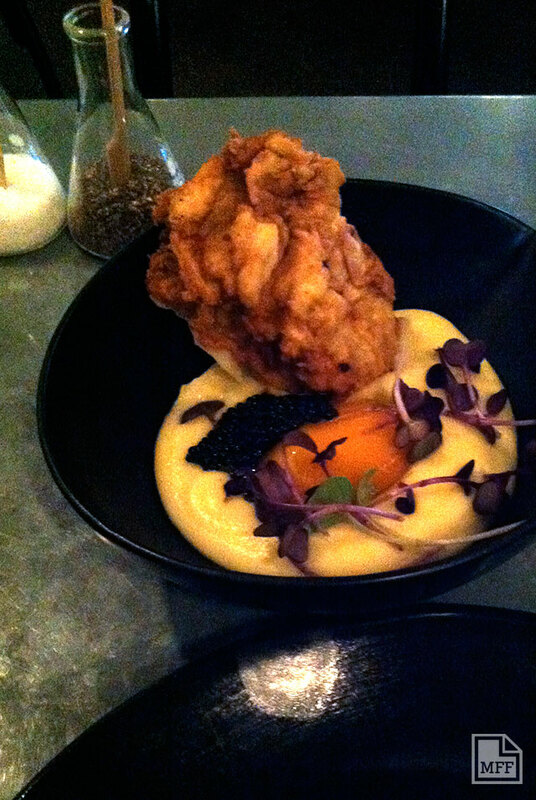 Drag your crispy chicken skin through the silky-smooth mash potato, breaking the egg yolk and scooping up some caviar as you go. It’s a real treat and just what you’d expect from guys like this. From the larger dishes, the Lebanese eggplant & paneer curry with angel hair chilli ($20.00) comes served with a grain salad to keep things interesting. 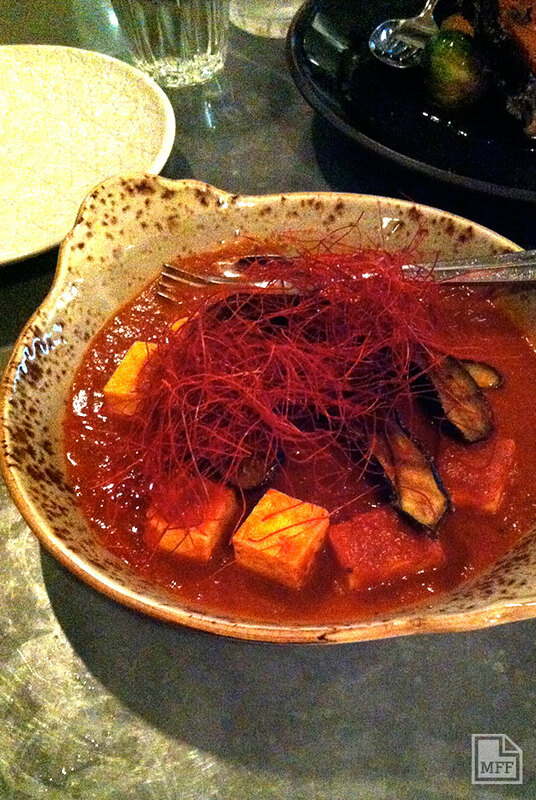 Even though it’s vegetarian, the meaty eggplant and paneer are sure to leave you satisfied. It’s quite a light curry, not bogged down with heavy cream, with fresh flavours and a subtle hit of chilli. The twice cooked crispy pork, blood orange & star anise jus with curry spiced brussel sprouts and kale chips ($26.00) is one of the more ‘classic’ dishes on offer. 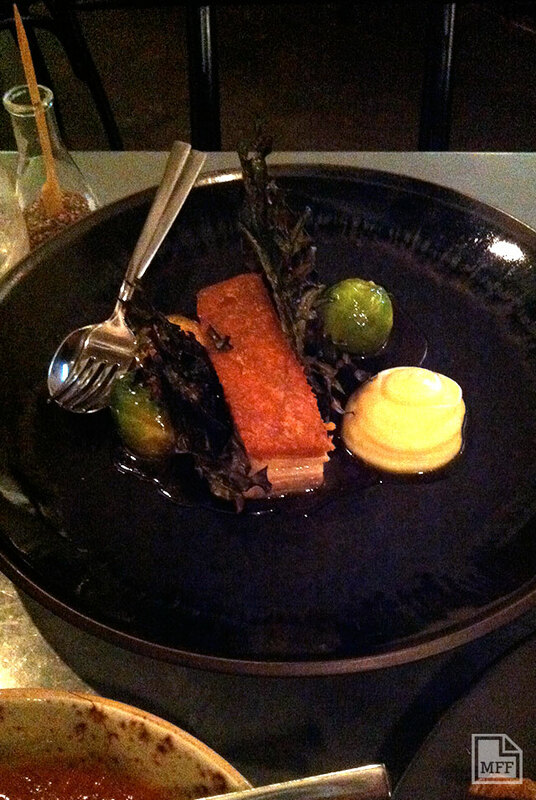 The beautifully fatty pork with crispy crackling is well-balanced by the nutritious kale and brussel sprouts. 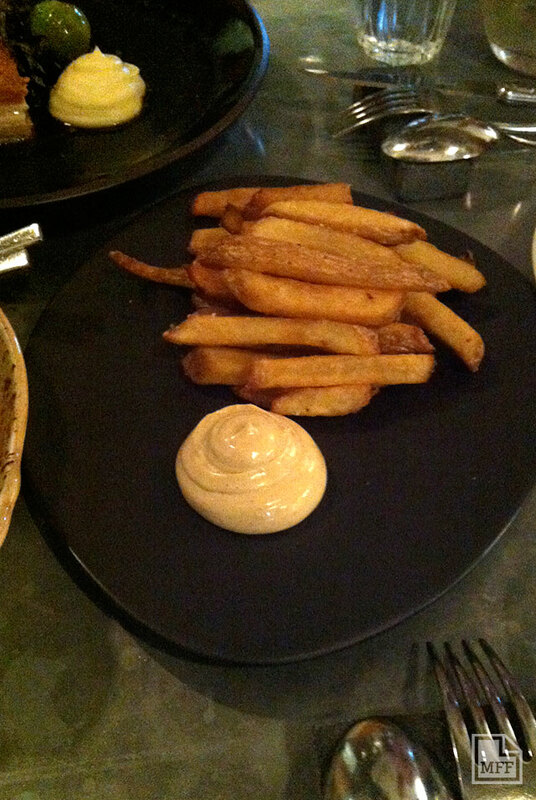 But no meal would be complete without the hand cut chips with truffle mayonnaise ($9.50), the decadent truffle a subtle reminder of where these guys have come from. Never tried truffle mayonnaise? This is a good place to start. To finish, the roasted coconut pannacotta with splice curd, kaffir lime and maluka honey flakes ($14.00) is as delicious as it is beautiful. 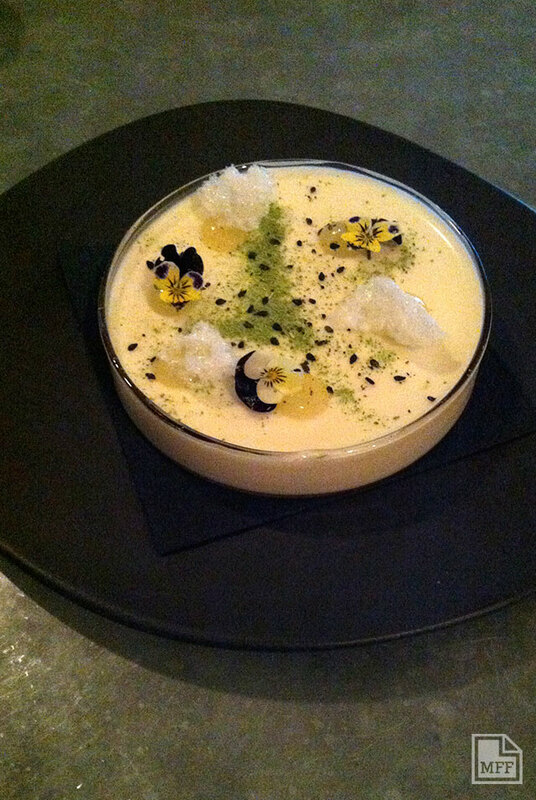 Served in a petri-dish with a good wobble, the splice curd and matcha powder cut through the creamy coconut flavour. If you thought Brunswick st is only a place for hipsters and cheap eats you’d be wrong. Hammer & Tong brings to the area a sophisticated eatery with serious pedigree. It’s a good place to take friends for a special occasion with cocktails, or for an intimate, casual dinner for two when you’re trying to impress. 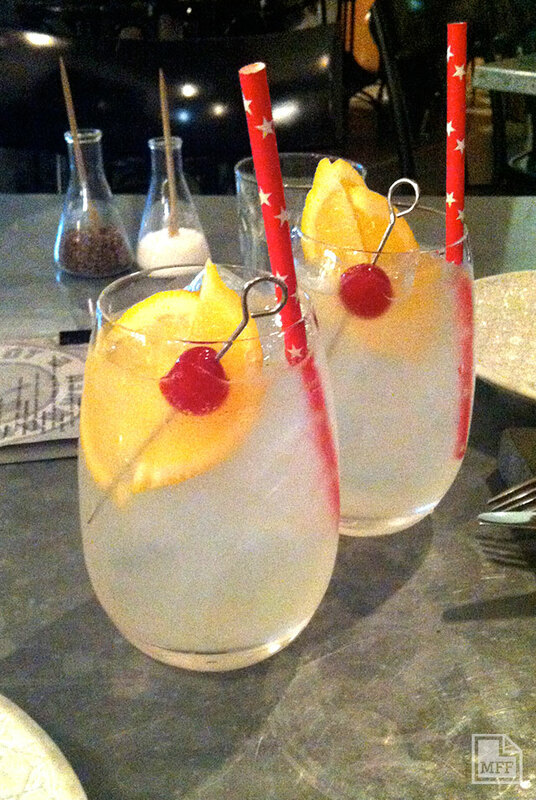 This entry was posted in Fitzroy, Northern, Reviews and tagged asian, cocktails, sharing. Bookmark the permalink. Wow, this looks yuuuuummy! Is this your friend’s restaurant you were telling me about? How do you find these places Suz ? Suzy and I will HAVE to go ! Like you mentioned, cocktails are truly looking excellent! I think a sharing meal is always a wise choice. Even the meals look yummy, particularly crispy chicken skin. Thanks for sharing such a lovely post!